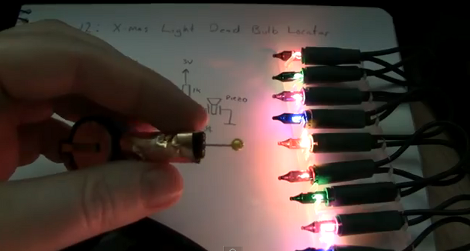 If you’ve never heard of “Manhattan Style” circuit construction, you’re not alone. Popular in ham radio circles, the process looks nicer than straight dead bug style circuit building, but not as involved as etching your own PCB – consider it a nice middle of the road solution. This type of construction is often used to build circuits inside enclosures that are made of copper clad, which is a somewhat common practice among ham radio operators. Manhattan Style circuits are built using glued-on metal pads to which components are mounted. One might think that the large pads you see in the image above would limit you to through-hole components, but that’s definitely not the case. A wide array of SMD pads are available in common pin configurations as well, allowing you to use pretty much any type of component you prefer. While it might not be appropriate for every project you work on, Manhattan Style circuits and copper clad boxes definitely add a nice touch to certain items, like the Wheatstone Bridge Regenerative Receiver you see above. A large part of science is making mistakes and learning from them in order to make each subsequent design that much better. When your experimentation involves hacking cakes, each failure is an exercise in deliciousness. [Craig] and his group of research partners often bake electronics-related cakes whenever part of the team departs in search of other opportunities. Over the years, farewell parties have seen renditions of anything from multimeters to quantum computers. This time around, he wanted to make something that contained actual electronics parts, while still remaining edible. 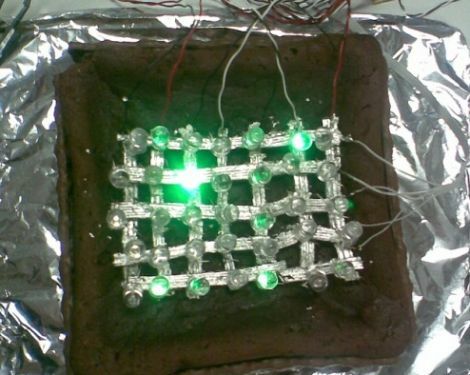 He settled on making an LED matrix inside of a cake, using silver foil wrapped licorice for wires. In the end however, he found the silver foil to be incredibly difficult to work with, and the matrix ended up being little more than a few randomly blinking LEDs. Even though things didn’t work out quite how he planned, he is not discouraged. The cake was still quite tasty, and through this process he has discovered edible silver paint, which will undoubtedly make it into the next farewell cake.